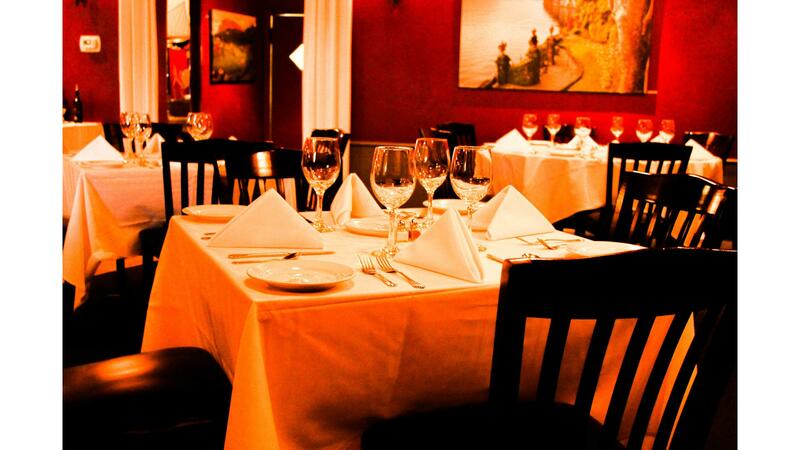 Rent Andiamo Ristorante | Corporate Events | Wedding Locations, Event Spaces and Party Venues. Andiamo Ristorante is quickly becoming known among discerning Austin connoisseurs for authentic Italian cuisine. Locally owned by native Italian Daniela Marcone, Andiamo features classic, seasonal Italian fare inspired by local ingredients and Marcone’s own time-honored family recipes. Simple yet perfectly crafted, refined dishes — all handmade, from the freshly baked bread to the pasta and the decadent desserts — are reminiscent of the many culinary specialties found in the cafés and bistros of Italy. The Andiamo menu also includes vegan, vegetarian and gluten-free Italian dishes, and a selection of hand-chosen Italian wines. Andiamo introduces their newly renovated private backroom, offering an intimate space featuring a brasserie ambiance, complete with farm tables, fresh flowers, candlelight and Andiamo’s beautiful china and linens. Daniela Marcone insists on only authentic Italian fare with no compromise. Every course, dish and bite taken at Andiamo is served as it would be in Italy. The Andiamo wine list features wines from very small Italian producers, including organic and biodynamic varieties. Marcone herself visits local farmers markets twice a week to ensure Andiamo’s seasonal menus highlight only the best local ingredients, and many of the restaurant’s traditional dishes are inspired by her own family recipes. She even travels home to Italy every year to keep up to date on Italian cuisine and culture. From the breads, to the pasta and even the desserts, everything that graces the Andiamo menu is handmade and chef crafted to ensure only the finest Italian dining experience.